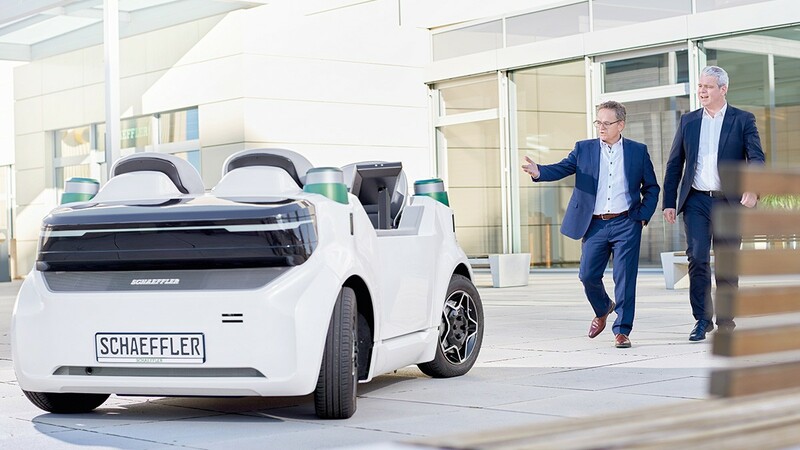 Realising solutions today for tomorrow: In accordance with this principle, Schaeffler is continually driving forward technological progress – and continually setting new standards in the process. This will not change in the future. On the contrary: Schaeffler will continue to apply its worldwide knowledge completely in the service of forward-looking products, systems and solutions. Schaeffler is a preferred development partner and supplier for very particular requirements in terms of engineers and rolling bearings. Further evidence is provided by the development of the hub bearing arrangement for the "London Eye" which was supplied at the change of the Millennium in 1999/2000. Originally, the Ferris wheel was only planned as a temporary attraction for a few years. However, more than 36 million passengers have made the wheel an unexpected success and have kept it in motion for more than a decade. The Ferris wheel in London, which contains approximately 1 500 tonnes of steel, rotates with the aid of two double row FAG spherical roller bearings which are fitted in the hub of the viewing wheel in a locating/non-locating bearing combination. The locating bearing, with an outside diameter of 2,66 metres, weighs 6,3 tonnes and is firmly mounted on the shaft. The non-locating bearing, with an outside diameter of 2,62 metres and a mass of 5,2 tonnes, can move both and forth on the shaft in order to compensate for thermal expansion. 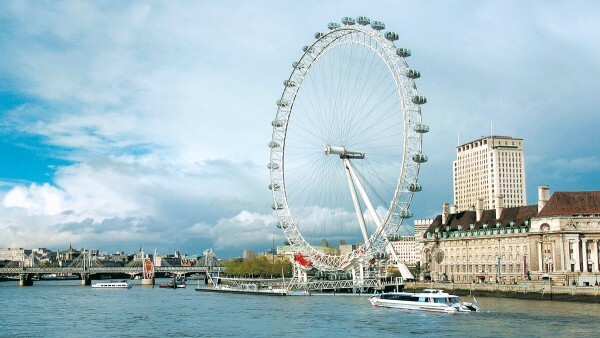 In addition to the central hub bearing arrangements, large size spherical plain bearings of the Schaeffler brand ELGES ensure that the London Eye stands securely upright. Thanks to the large size spherical plain bearings, the wheel could be swivelled during erection transversely over the River Thames from its horizontal construction position to its vertical final position. Since then, the function of the bearings has been to compensate for very small movements of the wheel, for example as a result of the wind, that would otherwise act on the comparatively rigid steel construction. It is impossible to imagine today's automotive world without the dual mass flywheel (DMF). As early as 1985, Schaeffler began production of the dual mass flywheel, starting a new era in drive train engineering. New solutions for reducing torsional vibrations and for vibration damping were required since the clutch plates with torsion dampers used until then could no longer fulfil the growing requirements. So far, the DMF has shown growing success, due not least to the trend towards increasingly high engine torques. Its ongoing development has remained hand in hand with the innovations that have characterised drive train engineering. In addition to reducing torsional vibrations, the dual mass flywheel offers a further positive effect: it promotes travel in operating ranges that give favourable fuel consumption and thus makes an important contribution to reducing CO2 emissions. While the DMF was originally developed for high performance engines, it has therefore also established itself as standard in the compact class. Leading vehicle manufacturers worldwide now rely on its effective vibration damping. In Europe, about one in three cars are now equipped with this convenient technology. Small commercial vehicles have also benefitted from the significant contribution made by the DMF towards the reduction now required in consumption and CO2 emissions and the increase in user-friendliness. Schaeffler has made an important additional innovation with the integration of a centrifugal pendulum-type absorber, which has facilitated further significant improvements in comfort, consumption and emissions. Dr. Ing. Georg Schaeffler and Dr. Wilhelm Schaeffler founded LuK in 1965 with the objective of supplying diaphragm clutches for the successor to the VW Beetle. 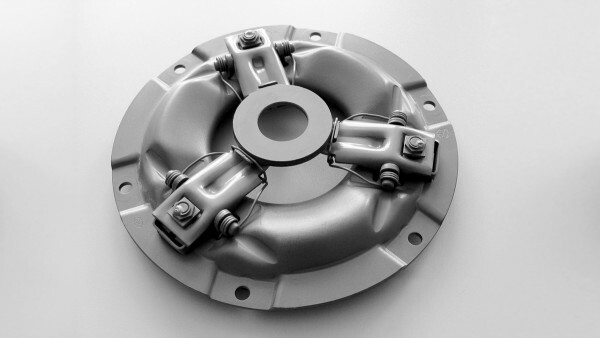 LuK was the first clutch manufacturer to introduce the diaphragm clutch in Europe. 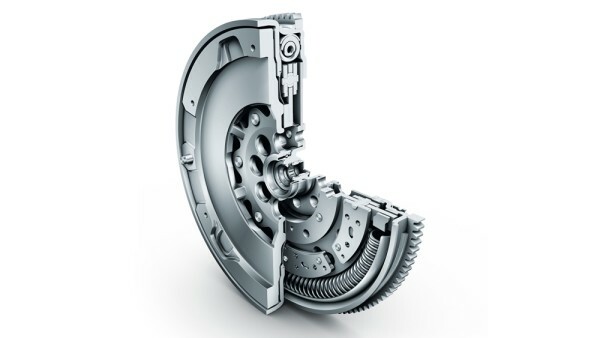 Today, one in three new cars rolling off the production line is fitted with a LuK clutch. Due to the further developments in vehicle construction, clutch components must now fulfil a large number of requirements that mainly affect driving comfort, such as rapid gearshift, vibration damping and minimisation of noise. Modern clutches are characterised principally by high speed performance, high transmission reliability, low section height, low release forces and long service life. As early as the 1970s, Schaeffler developed the diaphragm clutch, which successively and continuously displaced coil springs from the car sector. The contact force for transmitting the engine torque is now provided by the slotted disc spring. This gives the driver significantly more driving comfort since, due to the lower release force, he only needs to apply a significantly lower pedal force. According to the construction and operating method of the clutch, a distinction is drawn between the drawn and compressed diaphragm clutch. The development of the needle roller cage by Dr. Georg Schaeffler in 1949 overcame the disadvantages of the full complement needle roller bearing then in use, whose needle rollers were highly susceptible to skewing and which generated excessive amounts of frictional heat at high speeds. As a result, the needle roller bearing became a reliable and efficient component. In particular, the INA needle roller bearing made an invaluable contribution to the development of small, efficient and reasonably priced cars. Without the availability of reliable needle roller bearings, modern car transmissions would now be almost unthinkable. 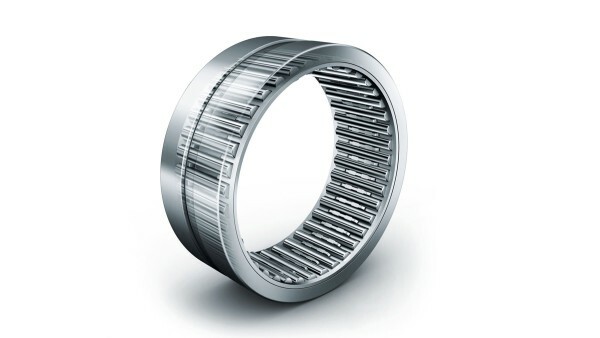 The range of parts and the number of different requirements for needle roller bearings is growing continually and has led to a considerable expansion of the product range in just a few years. Even today, new designs are being added on almost a daily basis that are matched to the special requirements of the particular application. At the heart of our product portfolio is the INA machined needle roller bearing. With the introduction of the X-life grade, we have been able to increase the basic dynamic load rating by 13 percent over the previous product, which corresponds in turn to an increase in the rating life of about 50 percent. Comparisons carried out on test rigs show that INA needle roller bearings are the highest performance components of this type on the market by a wide margin. The essential advantages: longer operating life, lower lubricant strain, lower friction and thus lower bearing temperatures. The result: increased energy efficiency. In addition, the enormous performance capacity allows downsizing of the bearing position. For equipment that is exposed on a daily basis to aggressive media, we also offer needle roller bearings made from corrosion-resistant special steels. As a result, long maintenance intervals are possible even in an environment that is hostile to bearings. With the coatings and special materials developed in the Schaeffler Coatings Centre, the bearings can also be protected against wear or current passage and friction can be reduced further. Applications for X-life needle roller bearings include, machine tools, textile and construction machinery, medical equipment, machinery for the chemicals and paper processing industries and of course automotive manufacturing, their original area of use. 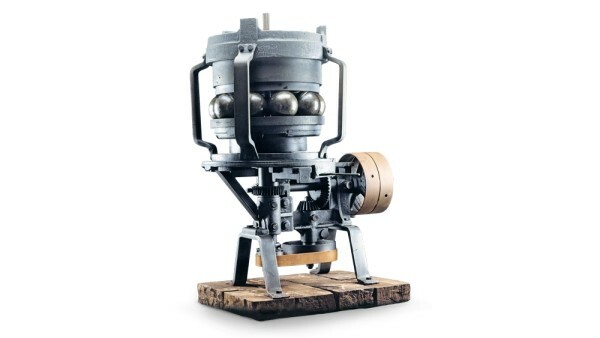 With the invention of the ball grinding machine in 1883, Friedrich Fischer made it possible for the first time to grind hardened steel balls to absolute uniformity and roundness according to the principle of "centreless grinding" – and thus marked the beginning of the international success story of the rolling bearing. Thanks to this invention of the "Kugelfischer", as it soon became known, the ball bearing set out from Schweinfurt on its triumphal procession around the world. From the small workshop of Friedrich Fischer, dealing in the repair of sewing machines and the bicycle trade, the company FAG Kugelfischer developed with huge dynamism and has been part of Schaeffler since 2001. Since then, there is hardly a machine element in existence that has influenced technical development as much as the rolling bearing. It was the essential basis for the realisation of increasingly fast, precise and reliable machinery. Originally conceived for bicycles, the rolling bearing soon came to revolutionise the production of motorcycles, cars, aircraft and railways.